Since the end of the global financial crisis, Asian banks have enjoyed a steady growth in their assets under management. According to Consultancy UK, Asia has seen its share of the global banking market surge from 27 percent in 2009 to 40 percent in 2017. Overall assets, meanwhile, have increased from $37trn (€32.5trn) in 2010 to almost $55trn (€48.3trn) last year. Compared to other regions around the world, this increase is huge. As a result, the so-called ‘Asian Miracle’ has had a considerable impact on emerging market economies. This is because the more assets a bank accumulates, the more money it can lend to investors, businesses and consumers. To put this into perspective, a one percent increase in credit growth typically equates to a 0.57 percent increase in economic growth. Put simply, there is a strong correlation between credit growth and GDP growth. Despite the Asian Miracle, however, recent political developments have left investors concerned. This in turn has seen Europe hold strong as an attractive destination for high-net-worth individuals (HNWIs). In light of these ongoing shifts in the high-net-worth (HNW) market, European CEO spoke to Leonardo Braune, Managing Director of Intercorp Group, a consulting firm that provides tax, estate planning and fiduciary structure solutions to HNWIs. Has Asia’s recent economic growth drawn more HNWIs to the region? In short, yes. In line with its rapid economic progress, there has been a clear trend of the world’s ultra-wealthy settling down in Asia. According to Asian Private Banker, the assets under administration held by the region’s private banks totalled a whopping $2trn (€1.76trn) in 2017. In the same period, the Asia-Pacific (APAC) region contributed the most to global HNW growth at 42 percent – a significant figure when compared to the 27.4 percent contributed by the US. As well as profiting from its own economic success, it’s clear that Asia has benefitted from political and economic instability elsewhere, which has prompted wealthy people to move abroad in search of greater investment returns. Despite experiencing continued growth since the financial crisis, asset prices have fallen in the past year. Why is that? Political uncertainty and corruption scandals in many emerging markets, combined with rising interest rates in the US and tariff threats from the Trump administration, have contributed to a decline in asset prices in emerging markets in 2018. Even in China – where the four biggest banks reported higher profits and wider margins in 2017 – investors fear that a slowing economy and worsening tensions with the US may cause disruption for investors. It remains to be seen whether this initial dip will cause long-term damage to the previously booming APAC region. How has the European market changed since the financial crisis? Evidence suggests that capital markets in the EU have yet to recover from the 2008 financial crisis. They are, on average, smaller and less developed relative to GDP than they were 10 years ago, despite signs of resurgence in recent years. Perhaps the biggest change over the past decade has been the dramatic shift from Europe to Asia. European banks used to represent nearly 60 percent of the global banking industry; today, they account for just one third. From an investor’s perspective, there has been a big shift from traditional stock market equities to bonds. While stock markets have declined relative to the size of the UK economy, the corporate and government bond markets have increased by two thirds. The world of alternative assets – comprising mainly hedge funds and private equity – has also grown exponentially in recent years as a result of increased regulation. Does Europe remain an attractive destination for HNWIs? Despite the ongoing Brexit negotiations and financial crises in Italy and Greece, Europe is still an attractive destination for HNWIs. That said, some countries are more attractive than others. Economic uncertainty has led a number of EU countries to lower their standards in order to attract more wealth. But while it is possible to establish residency in select European countries for investments under €1m, the wealthiest individuals still tend to favour the UK. In Portugal, for example, non-EU citizens wishing to relocate can make entrepreneurial investments between €500,000 and €100m. The UK, however, is focused on attracting HNWIs, which is why the minimum amount for an investor visa is £2m (€2.26m). It’s also worth noting that this capital can only be made available for financial investments, as property investments are not permitted. What advantages does the UK offer? The reality is that it is not just about relocation. Another crucial factor in attracting investment is the tax regime that HNWIs are subjected to upon arrival. This is where I see an advantage for the UK: it has a much stronger history of dealing with these issues than countries that are only just starting to dip their toe into the market. There are also a number of other factors that make the UK more attractive as a destination for HNWIs. London’s superior quality of life, for example, continues to attract HNWIs, while its world-class culture and education attracts many families. The capital’s strong judicial system, meanwhile, is already used by foreign billionaires to settle disputes in their home countries. 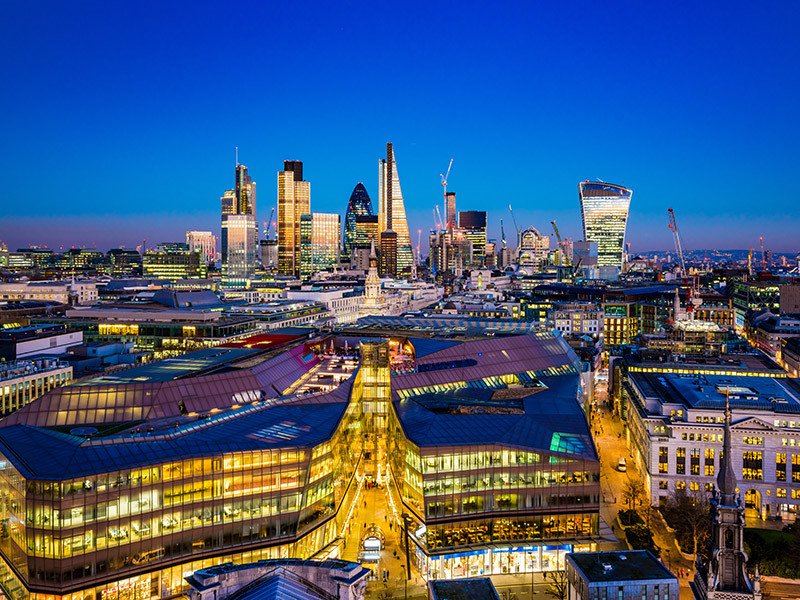 And given the residency of numerous business leaders, London’s financial sector will maintain its reputation as a leader among HNWIs and financial capitals. Nonetheless, it should also be noted that the UK is facing challenges of its own right now, which is creating instability and uncertainty within the HNWI community. We’re now seeing a shift of wealth towards the US, which has reduced tax rates and exposure in recent years. This trend has seen Intercorp increase its footprint in the US, where we are participating in strategic meetings with families and advisors in order to discuss US relocation. How does Intercorp help HNWIs? Intercorp is an international consulting firm that serves HNW entrepreneurs and their families. In a world of rapid change and uncertainty, we provide independent advice to clients on how to adapt to the shifting conditions of multiple jurisdictions. By mining intelligence within the business and harnessing our understanding of trends within global markets, we present our clients with the best possible set of solutions for their needs, explaining the parameters and potential outcomes required to help guide them to make better decisions.